The use of the computer technology is a key to high graphic quality and speed of production. Pedro Pimentel is a 1982 Graduate of the Faculty of Architecture, Technical University of Lisbon in Architecture with Honours Degree. Pedro began working with “Petroff Partnership”, implementing Shopping Malls Concepts. Then to “Stone+Kohn+McQuire+Vogt” obtaining Design experience in Office Buildings and Commercial Plazas. Expanding horizons lead him to “Quadrangle Architects” to gain Corporate Office work experience and involvement in some medium to high rise Residential Developments. 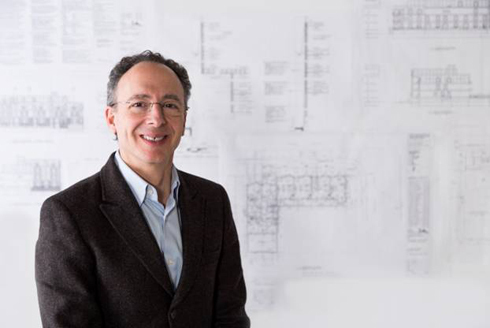 Pedro was admitted to The Ontario Association of Architects in 1993 and open his own Office Practice in Toronto on 1994. After 15 years of creative and highly respected Design Firm, he began “Pedro Pimentel Architect Inc.” and is taking the Company into a higher level of Design, Projects approach and direction.